Planting trees and shrubs in fall, before Jack Frost moves in for the long haul, allows roots to become accustomed to temperate soil. 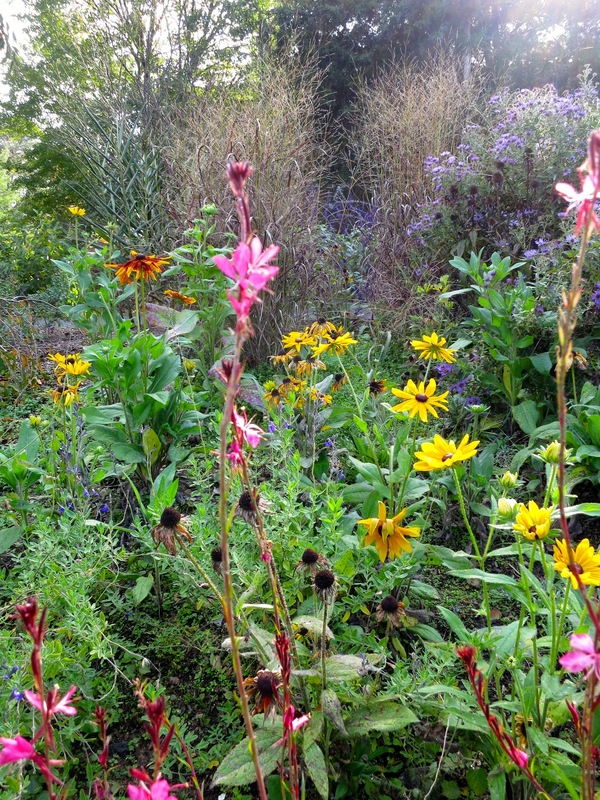 Plants are often on sale in fall, so look for coupons and deals at local nurseries. It's also a good time to survey your landscape, decide what stays and goes, and fill in any gaps. plenty of light, and fit nicely with the surrounding environment to provide food and shelter for wildlife. Light requirements: make sure you know how much sun or shade you have in the spot where you want to plant your new tree or shrub. Check the label on your new plant to see what type of light the grower recommends. Plant Hardiness Zone: How much cold and heat can the plant take? The USDA Plant Hardiness Zone Map provides an interactive display of zones across the country. Check the label on the plant to be sure it will survive in your climate. a few years, and its roots will uproot the brick. 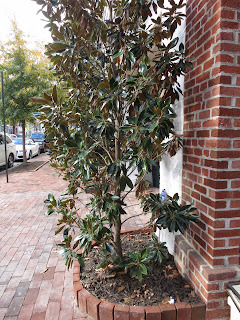 Mature size of the plant: too often, a gardener puts a very small tree or shrub in a tight spot, and it looks just right - for three years, or so. Then, it takes over, or busts up the sidewalk, and we're faced with trying to move it. It may be too big to move, may not survive transplant, and may not fit anywhere else in our yard. I've done this too many times, notably when encouraged by an overzealous nurseryman who insists, "It's ok if trees touch. This ain't no high school dance! Are you gonna be here in 30 years?". Well, maybe. Don't listen to that guy. Interest: What color is the plant's foliage in spring and fall? Will it bloom in sequence with other plants? Will it fit in with the your color scheme and overall structure? Does it have something to offer spring, summer, fall and winter? I try to pick plants that offer as many seasons of interest as possible. Value to wildlife: Is the plant deer candy? Are the leaves, flowers, and fruit valuable to pollinators? Is it invasive in your state? Cooperative Extension publications provide useful information on a wide variety of plants. Also check the native plant database managed by the Ladybird Johnson Wildflower Center at UT Austin. as nectar and food sources for migrating birds and butterflies.